Join us on a dancing weekend to the delightful “Pink Granite” Coastline in Brittany, staying in the small town of St Quay Perros. Qur hosts for the weekend will be the Scots Bonnet Scottish Country Dancers. The weekend starts on Friday with us boarding a coach at Group Travel’s base in Midway Road, Bodmin, PL31 2FQ to take us to the ferry terminal in Plymouth for the crossing to Roscoff. (This will be an early start as the ferry leaves Plymouth at 8.00am and arrives in Roscoff at 3.00pm.) You will need to be ready to leave the coach’s depot in Bodmin at 5.30am. Secure parking for your car is available at the coach company’s base. On arrival in St Quay Perros (Approximately 5pm) we check into our hotel – Citotel les Sternes, Perros Guirec (www.sternes.com) our base for the next 3 nights. There will be time to relax and prepare for the evening. The dance teacher for the weekend is Les Lambert. The musicians are Ian Robertson playing an accordion and John Dudley on fiddle. Dancing starts Friday evening at 7pm with a social dance with a walkthrough and light supper (Soup + Cake) at the Yves Guégan Community Hall in St Quay Perros and finishes at 11pm approximately. After breakfast Saturday morning there is a class at the hall from 10am to 12.30pm providing an opportunity to practice the dances on the evening programme. Lunch is from 12.30pm to 2.00pm. In the afternoon there is a class with Les Lambert. Saturday evening dancing will be at 7pm to live music and again supper is included. Finish time between midnight and 1.00am. Sunday morning after breakfast we will have time to enjoy some of the beautiful coastal scenery of the area. 10am walk till 12.30pm. Lunch 1pm till 3pm but is not included in the costing. The local group are looking for a restaurant and the cost could be 35-40 euros per person. The rest of the afternoon is free. Evening social time/concert to be arranged (Probably in Lannion). Monday 10am depart for the ferry. A suggested stop would be in the historic town of St Pol de Leon in the heart of one of the largest market garden regions of Europe. Boarding the ferry for a 3.00pm departure and arriving in Millbay Docks, Plymouth at 8.10pm. Cost for non-members will be £360. 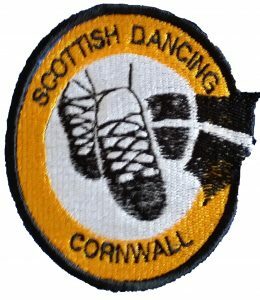 The cost includes coach travel from Bodmin, ferry fare, coach travel from Roscoff to the hotel at Saint Quay Perros, hotel accommodation, all dancing at the weekend, the meal on Friday evening, Saturday breakfast, lunch and evening meal at the dance. Travel from the hotel to the venue and return is included. Return coach travel to Roscoff and then to Bodmin and return ferry fare are included. Lunch on Sunday and any extra arranged activities such as the Sunday evening concert are extra. As are any drinks and food purchased on the ferry. Non refundable deposit of £100 for any RSCDS member and £120 for non members is required by 10th December to secure your place. The balance will be needed by the 31st of March. A valid passport and personal travel insurance will be needed for this trip. Interested? Want more Information? Please speak to Janet and Les Payne who have joined the Scots Bonnet Dancers on several occasions for this fun weekend.